After dinner at La Mesa Grill, me and Inggo looked for a place to hang out at Sky Garden since we didn’t want to go home yet. We ended up at Kitchen of Cakes and Coffee which is just a few steps away from La Mesa Grill. It’s a small coffee shop that specializes in cakes and coffee, obviously. What made me choose this store from all the shops in Sky Garden is that they serve Alamid Coffee, which is the Tagalog version of Kopi Luwak or Civet Coffee. I didn’t order that one because it costs (185php) a cup and didn’t have the budget. Instead, I ordered a slice of Crème brûlée for 60php, Iced Thai Milk Tea (80php) for me and Iced Green Milk Tea (80php) for Inggo. I don’t know how a real Crème brûlée should taste like, but I like the fluffiness of this cake. 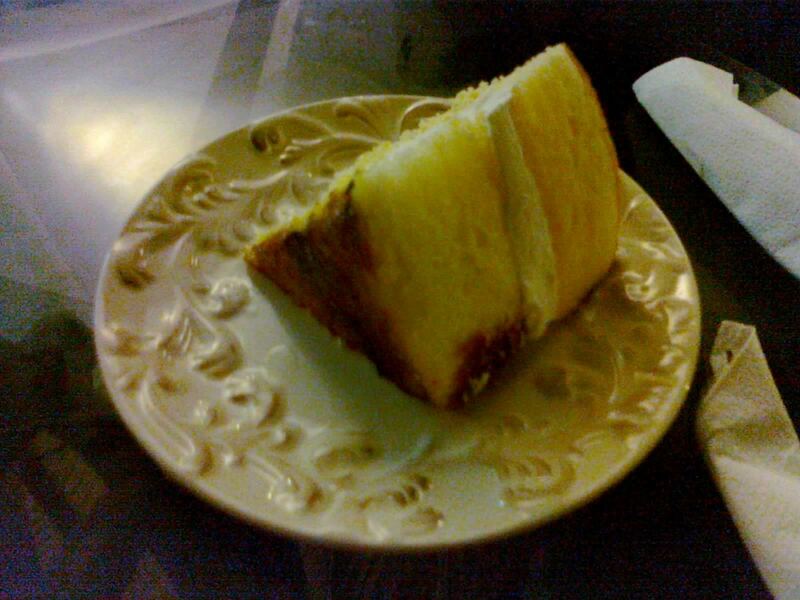 Inggo commented that it’s just normal spongecake with creme brulee on top. 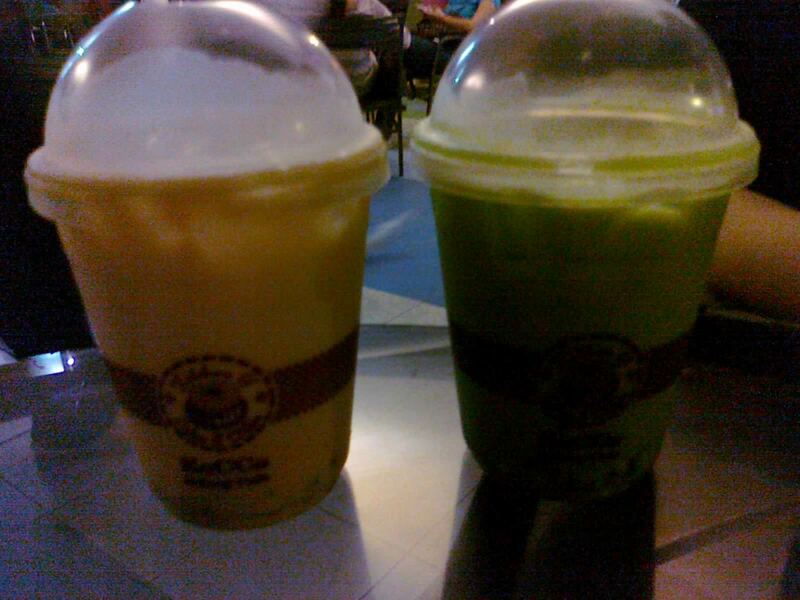 As for the milk teas… mine tasted a lot more like tea than milk, which is good for someone who is lactose intolerant. I didn’t like it because I preferred a balance of the creaminess of milk and the taste of tea in milkteas. It also includes green tea jelly which tasted like powder and some bits of tea leaves. Inggo’s green tea milk tea was BITTER! Even though he is a green tea lover, he didn’t like this one because it is powdery. Conclusion? Cake is better with coffee. I guess their specialty really is cakes and coffee, and they have a lot of cakes and coffee to choose from. I would love to come back here to try their cheesecake and Alamid Coffee. I’d stay clear from the milk tea though. Not recommended for: Sweet milk tea lovers. Smart nomnomnom tip: Cake is good with a hot drink.